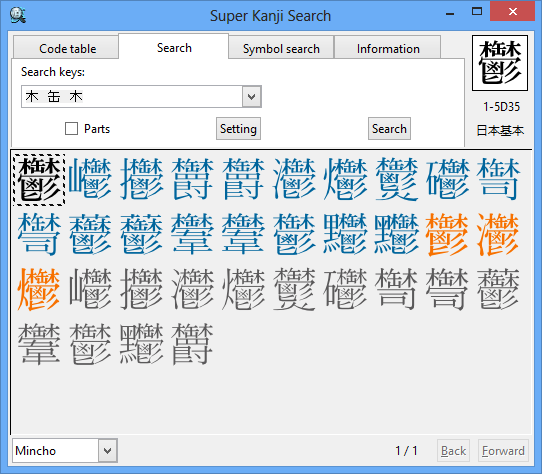 You can refine the search criteria by reading, strokes and their combination(AND conditions), in addition to parts. If you want to search the complicated character "鬱" in the word "憂鬱 (yuu-utsu or gloom)", you can refine the search results sufficiently just by inputting the distinctive parts "木 缶 木". You don't have to input all the parts of the character as the search criteria. 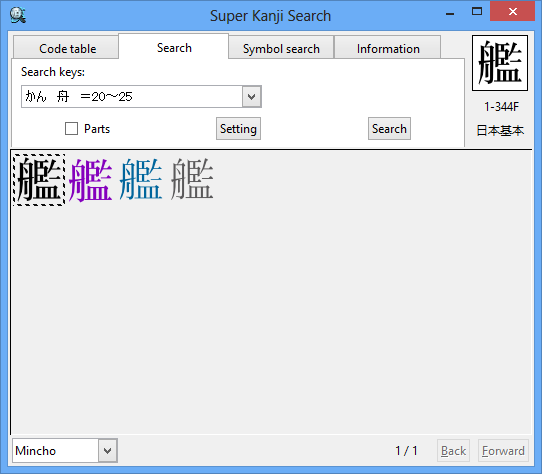 You can also search symbols easily. If you input "○ 3" as the search criteria, you can find "Circled number 3". If you input "A ○" as the criteria, you can find "Å". 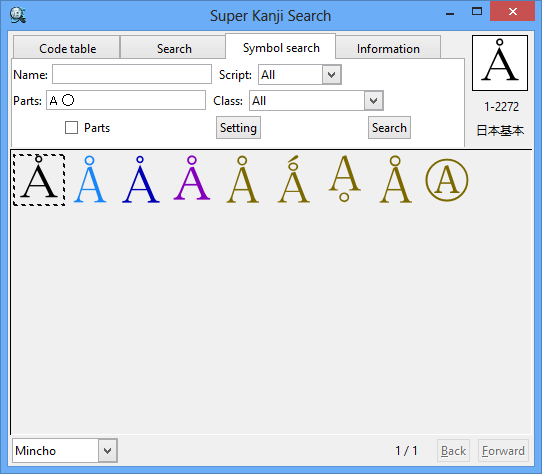 In this way, you can easily input European characters such as alphabets with umlaut mark or grave accent. Symbols including "A" and "○"